I am loving my local Safeway’s customer service. Maybe it’s because they see me there so often, but they always have a cheerfulness and willingness to help. I dig that! “I can still take care of it,” Danny said. “You want to use it today too because it’s the last day!” Danny said in a kind and encouraging voice. Danny immediately ran over with cheerfulness and grabbed some sort of card or keys from the manager and gave me my $10. Never once did he huff and puff or sound irritated that I forgot. I thanked him over and over and apologized for talking too much and forgetting. He said it was not a problem at all. Even though it was my fault for forgetting to present the coupon ahead of time, I really liked how he fixed my problem immediately, quickly, and kindly. 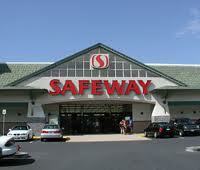 If I was to forget a coupon at another retailer I wondered if the transaction would be easily handled like Safeway. My guess is probably no and the transaction probably would have had to be re-done. Thank you Safeway for having such great employees at the Benicia location and having a procedure in place for forgetful people like me . « Please just smile and take my money.